Lisa always found baking relaxing. It could make the stresses of the day disappear or could make a good day even better. Lisa finds baking relaxing. It makes the stresses of the day disappear or can make a good day even better. Her cakes are lauded by friends and family and now also by her loyal customers. Layer cakes and sheet cakes are wonderful and perfect for birthdays, parties, weddings, but sometimes you just don't need a large cake. However you do want cake! 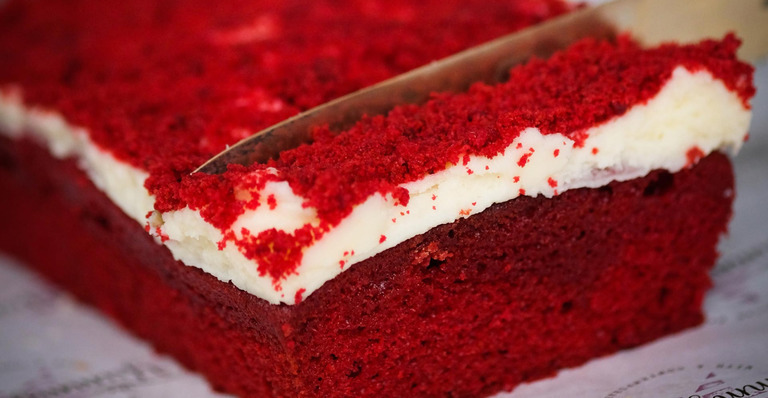 A slice of heavenly, moist and flavoursome cake. A cake that is just enough to have a slice with your family after a meal or in the afternoon with a friend and a cup of tea or coffee. 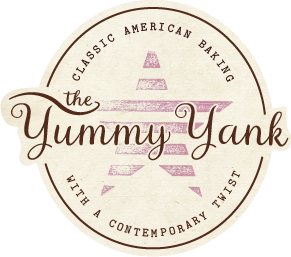 That's why The Yummy Yank began baking loaf cakes. Just the right size to be able to enjoy several varieties of Lisa's layer cakes without worrying about too many leftovers. 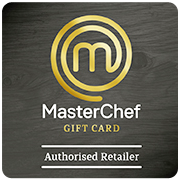 They are baked in recyclable 1 pound trays and are perfect when you feel the need for a little indulgence. All loaf cakes freeze, wrapped in foil, for three months. They can be kept in fridge, well wrapped, for 2-3 weeks. Bring to room temperature for best flavour. 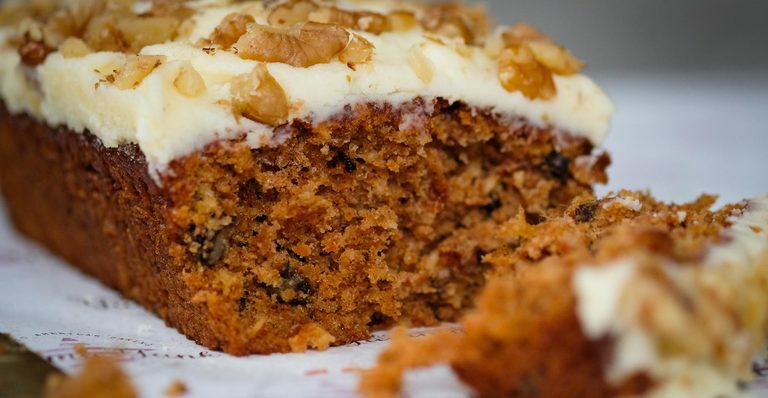 Carrot cake just does not get any better than this! Sorry, call us bigheaded but reviews prove it to be true. Try for yourself and let us know. All we're going to tell you is that it does contain walnuts and has a traditional cream cheese frosting - but no raisins, because Lisa doesn't like them! Contains walnuts. Baked in 1lb loaf trays 170mm x 100mm x 55mm. Our authentic version of a Southern speciality, popular in American diners for decades, gets its' beautiful red hue from a handblended mixture of gel colouring. This vanilla flavoured cake with an undertone of cocoa, topped with traditional cream cheese frosting, is wonderfully moist and leaves you wanting more. Baked in 1lb loaf trays 170mm x 100mm x 55mm. If you love chocolate, this is the cake for you! 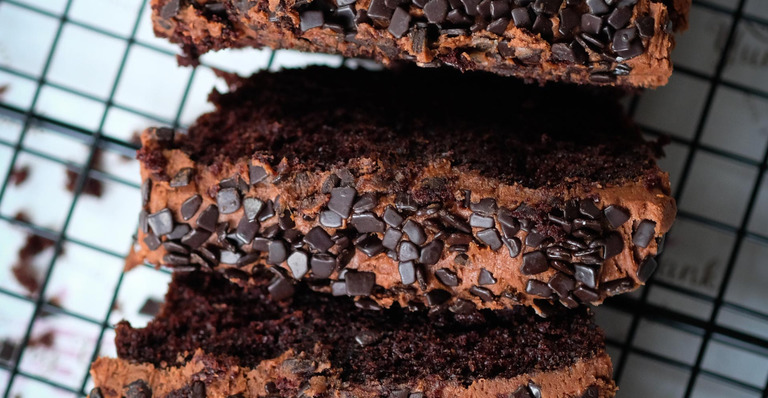 Chocolate, chocolate and more chocolate make this moist cake the legend that it has become. Baked in 1lb loaf trays 170mm x 100mm x 55mm. 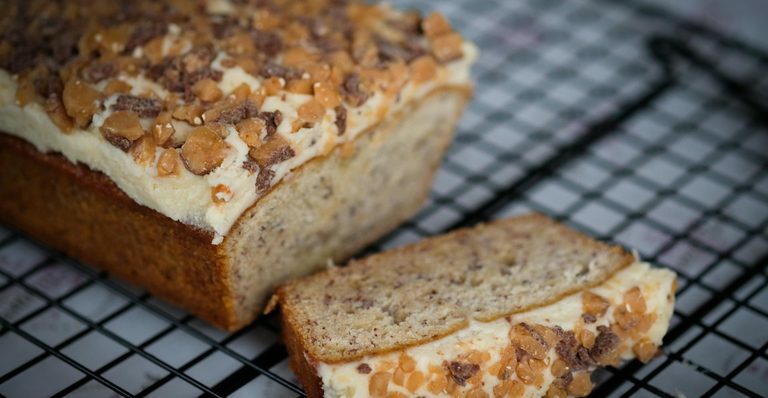 Banana overload in this wonderfully rich cake! Topped with traditional cream cheese frosting and crushed pecans. (topping is nuts - not as pictured). Baked in 1lb loaf trays 170mm x 100mm x 55mm. An individual version of Lisa’s Aunt Etta’s famous cake, but with The Yummy Yank twist. This cake has become a firm favourite with everyone. 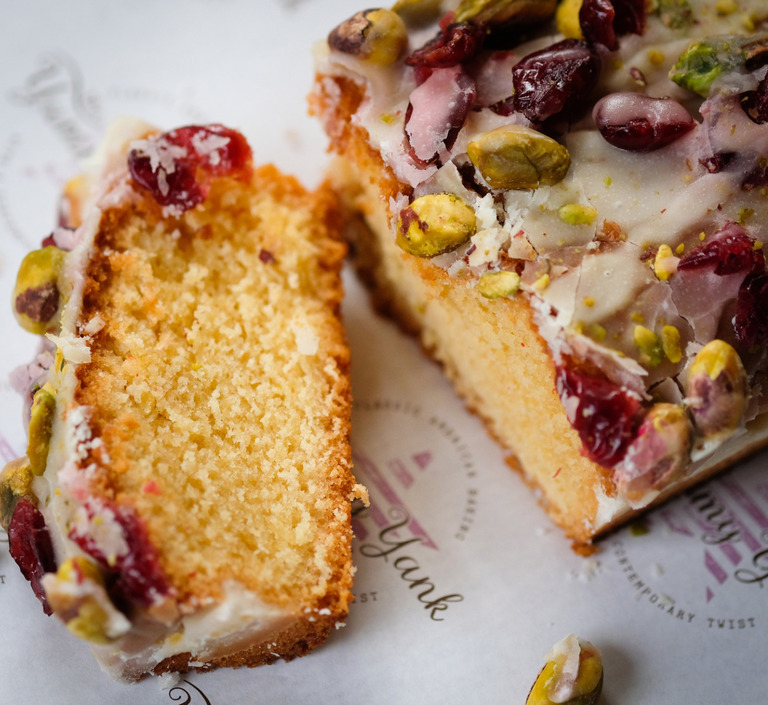 Moist and moreish cake, loaded with vodka and Amaretto, and topped with an Amaretto glaze, pistachios and dried cranberries. All we can say is mmm mmm. Baked in 1lb loaf trays 170mm x 100mm x 55mm. Contains nuts. 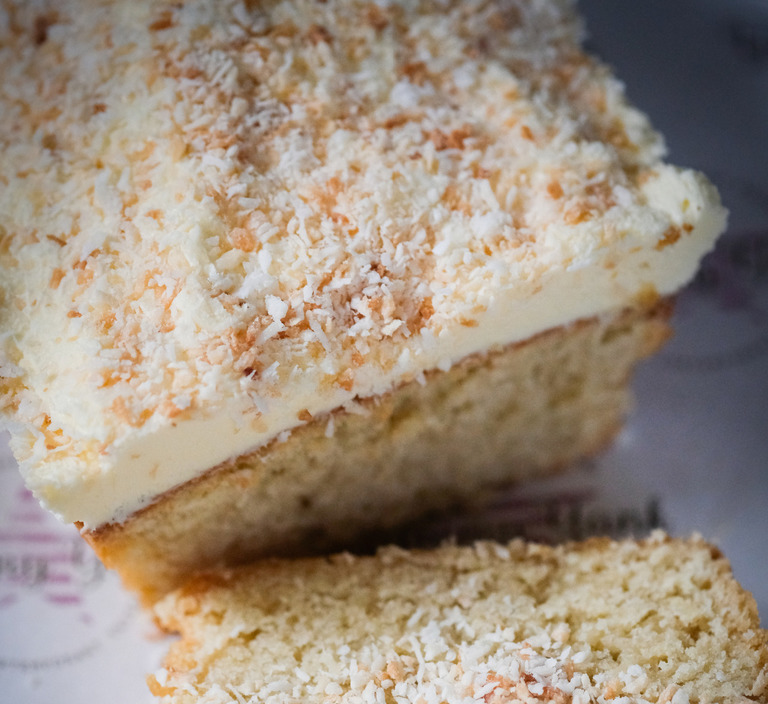 When you’re sitting at home, dreaming of a holiday in the islands, but it’s not possible to be away, one taste of our Coconut Loaf Cake will transport you to a chaise by the sea, drinking pina coladas and soaking up the sun. Topped with either a cream cheese or marshmallow (vegetarian) frosting and toasted coconut, this is a coconut cake that actually tastes like coconut. One slice may not be enough. Baked in 1lb loaf trays 170mm x 100mm x 55mm. 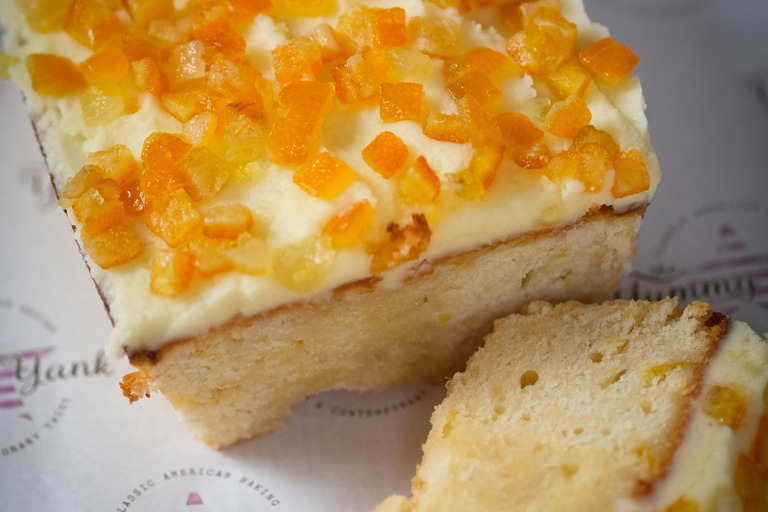 If you want the taste of sunshine and a burst of lemon in every bite, you will love our Lemon Loaf Cake. Loaded with the juice and the zest of fresh lemons in the batter of the cake, as well as a lemon syrup inside and a lemon glaze on top, it’s like a burst of Spring. Baked in 1lb loaf trays 170mm x 100mm x 55mm. Lisa’s personal favourite and a recipe that has been around for generations. 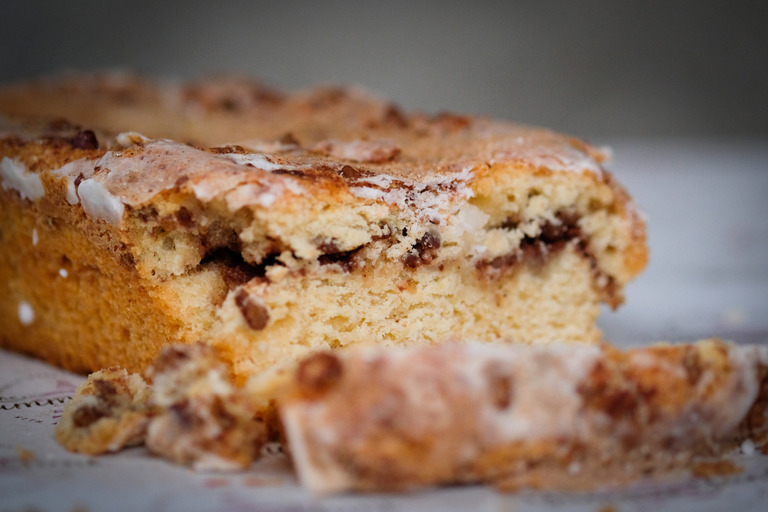 An American Coffee Cake does not contain coffee!! What??? That’s right, it’s to be had with a cup of coffee. Or tea or in Lisa’s case a glass of cold milk! It is a moist cake laced with cinnamon, pecans and sugar in the middle of the cake and more of that same delicious streusel on top. We promise you, this is too nice to miss. Baked in 1lb loaf trays 170mm x 100mm x 55mm. Contains nuts.